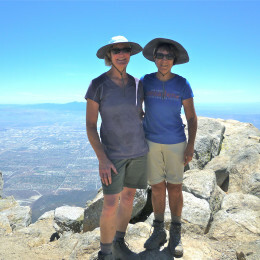 Theresa (bassoon) and Rachel (horn) are about to embark on through hiking the John Muir Trail. They have adding a fundraising component to the venture. An inherited neuromuscular disorder, CMT affects the Berry Family. Occuring in both genders, in all races and ethnic groups, it is found worldwide. All contributions will go to CMT research to create clinical standards of care, and develop therapies to treat and cure CMT.